Why buy QuickBooks Enterprise Edition? 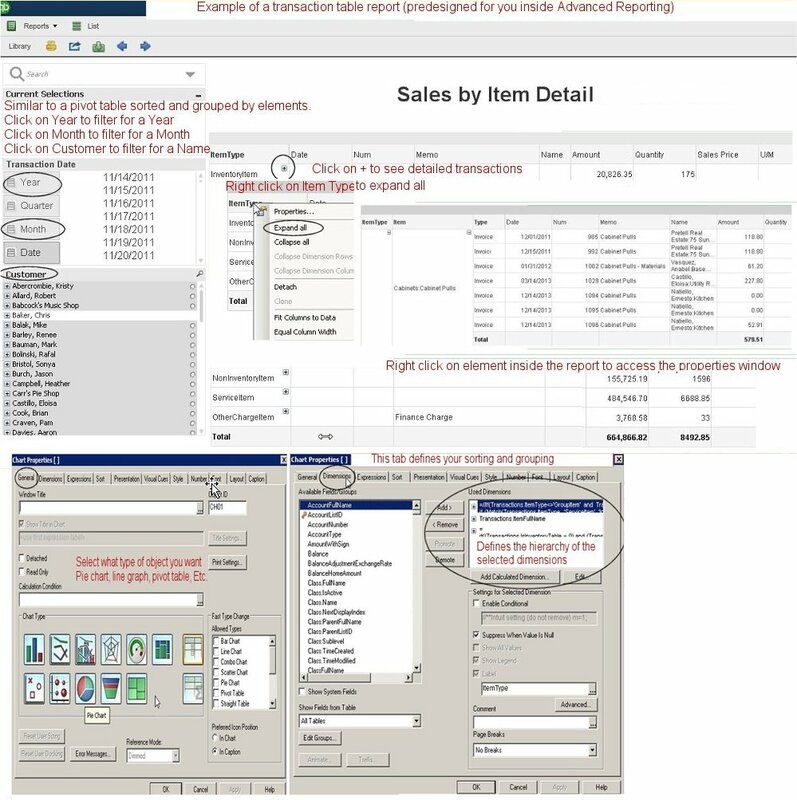 Have you looked at a report in QuickBooks Enterprise and wished you could add a custom field or filter specific to your needs and could not do so? What about using a reporting tool now included with QuickBooks, that is user-friendly and not programming difficult? Would you like to have your reports set up in a better way to help with business decisions? With the advanced development of QuickBooks Enterprise, Intuit has decided that the reporting feature within QuickBooks needed some advancing, as well. Now, with QuickBooks Enterprise 2015 and in future years with an active full-service plan, you can use the New Advanced Reporting tool within QuickBooks Enterprise. Advanced Reporting keeps the data in a folder in the QuickBooks file on the server and is run from the client workstation. Every time you launch Advanced Reporting it will ask if you want to update the data. It does not have a scheduled time of day to update. The data is pulled from a separate database for reporting. This screen shows you the preset reports in Advanced Reporting. You can use these reports as a good starting place and customize the reports to meet your needs. Don’t see a report to start with, that is ok. The bottom report will let you start from scratch. Reports are made up of different types of objects and you can add them or remove in order to change your report. Once you add an object to a report, you can make changes to it using the properties list for that object. 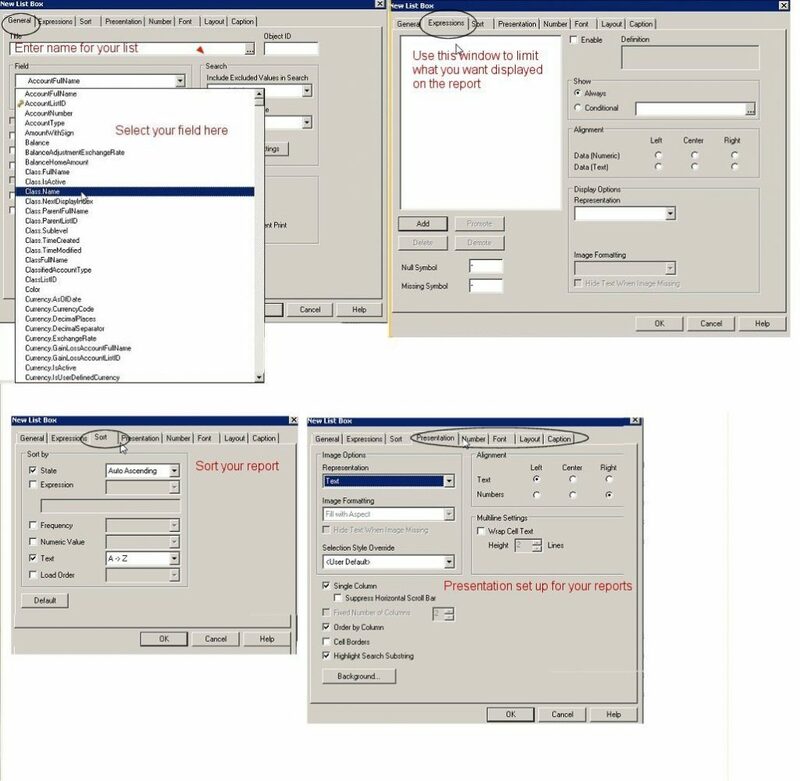 Objects include Tables, Charts, List Boxes and Text Boxes – all of which can be formatted, filtered, sorted, grouped as needed. Within the library (top left) you can choose the various objects you want to include in your report. Within the table, you can right click and choose properties to change the title of your report and other properties in the table or chart to customize your report. Add list boxes and you can use these to filter only the data you want to see. For example, do you want to see your customers from one state and maybe one city? The list box is a filter and can be added or removed, as you need them. The small eraser button will remove the named list box next to it. Here again, you can choose the field name that will be filtered in your list box (top left) ex. class.name. Limit on which data you want to filter on (top right), such as New Construction, Overhead and Remodel. Next, sort your list box (above). 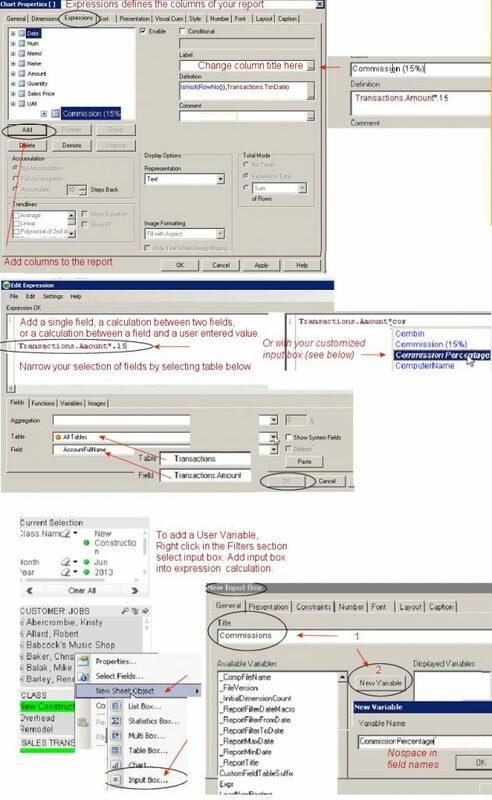 Last, make your selections on how your data will be presented in the report. Once you have your list boxes selected and set up, edit Chart Properties to design how the data should be displayed. 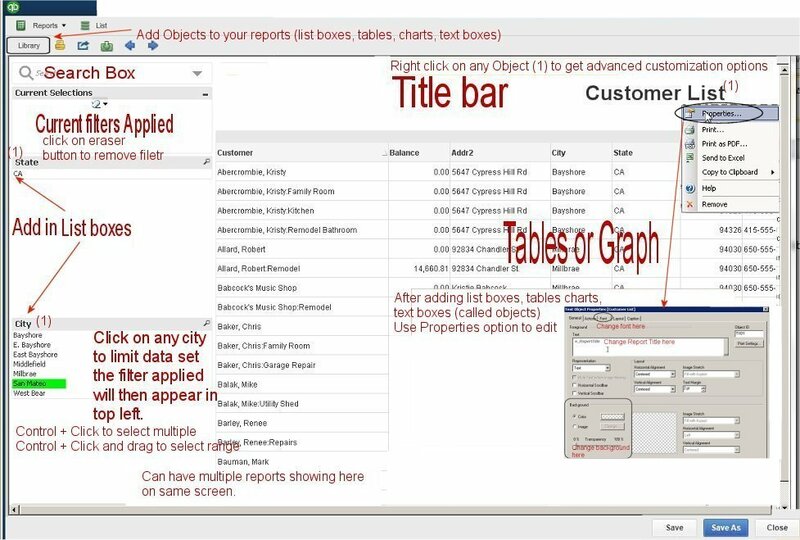 To get to the Chart Properties – right click within your report to open the Chart Properties Window. General tab – Pivot table, chart or graph, or plain table. a single field along with a user input field. an input box would be created that holds a variable (which stores the input entered by the user). See below to create an input box using a commission percentage rather than the actual 15 percent. The information you need about QuickBooks Enterprise all in one place. A detailed list of reasons to determine if you should make the switch to QuickBooks Enterprise. A list of features only found in QuickBooks Enterprise. What performance measurements you can expect from upgrading to QuickBooks Enterprise. A comparison table of the different QuickBooks Enterprise industry editions. 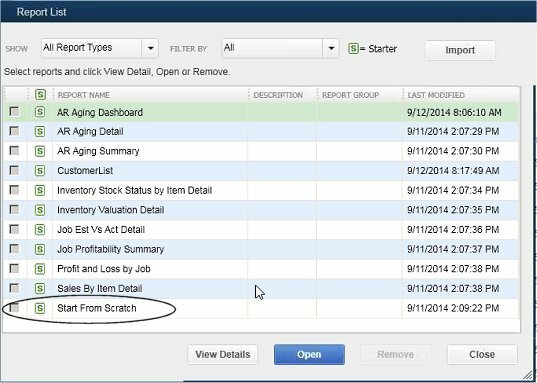 New features added to QuickBooks Enterprise in the yearly updates. Examples of the extensive user permission options. A list of the minimum hardware and system requirements to run QuickBooks Enterprise.